Our conception of learning is strongly influenced by names such as Dewey, Piaget, Vygotsky, Freire, Papert and Resnick. 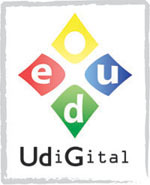 In recent years, at UdiGitalEdu we have designed and developed many formal and non-formal educational activities and workshops inspired by their ideas about learning and education. 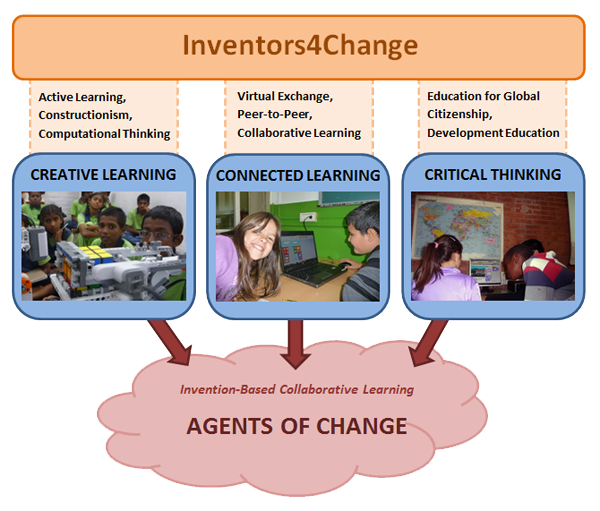 Inventors4Change’s learning model is inspired by popular learning theories such as Social Constructivism, Constructionism or Connectivism, and by modern educational approaches and movements like Connected Learning or the Maker Culture. We call our model Invention-Based Collaborative Learning because we foster a collaborative learning (even across different countries) where children work in teams to invent (imagine + create) something. In addition, the challenges that children face in our project are related to Sustainable Development topics, so we are promoting Education for Global Citizenship.